In an precebdebted move in Pakistan aviation history Sindh High Court (SHC) has ruled in favor of Shaheen Air International (SAI) against the Pakistan Civil Aviation Authority (CAA) over the issues faced by airline over RPT license issue. The court has thrown out demands by CAA giving Shaheen much needed relief. 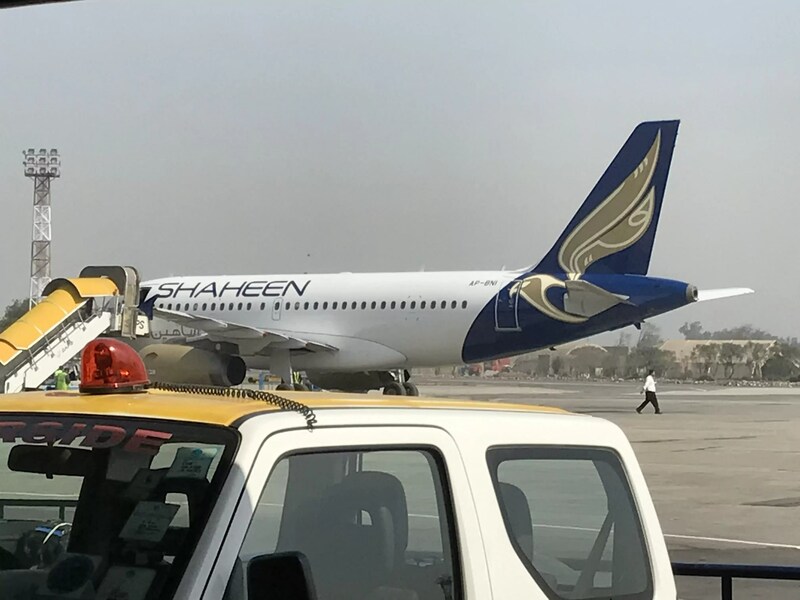 In an precebdebted move in Pakistan aviation history Sindh High Court (SHC) has ruled in favor of Shaheen Air International (SAI) against the Pakistan Civil Aviation Authority (CAA) over the RPT license issue. The court has thrown out demands by CAA giving Shaheen much needed relief. In a bizarre move the CAA had recently directed SAI to submit documents for a fresh Regular Public Transport (RPT) License within 45 days or face a ban on operations. This SHC ruling comes after SAI filed a petition asking the court to intervene in the matter.SHC has specifically suspended this requirement of applying fresh for RPT showing it had no basis in law as CAA claims and SAI was issued a license 26 years ago. SHC has directed that CAA cannot interfere with any business operations of SAI as long as they adhere to repayment schedule. Thus, act of removal of aero bridge and punishing SAI’s passengers is now illegal. Further lack of approval on routine new routes is also illegal. SAI argued in its petition that it had suffered significant losses and damage to its reputation, internationally, as a result of the mishandling of the renewal of its RPT. Moreover, Pakistan aviation suffers immensely at home and abroad as a result of inconsistent and irrational behaviour of CAA and its DG. SAI had provided a host of documents to the SHC against allegations of outstanding dues by CAA including all recent payment plans. The permission letter for Multan – Muscat route was submitted to CAA on 20th March and a follow up letter was also submitted on 5th April for the route permission, but no objection was made neither the airline was informed. As per CAR’s clause 352 para 2 & 3; SAI schedule was submitted according to the requirements. As per this rule a month without any objection is deemed to be approved. In this case stopping the Multan-Muscat flight from departure was illegal and unjust. Request for flights to Riyadh, Sharjah, Jeddah and Karachi from Faisalabad are also submitted to CAA but the request is still pending. It is also worth mentioning here that the delay in permissions result in aircraft standing idle adding up on parking fees, lease payments and other fee. SAI had submitted the payment plan to CAA and the authority was promised that the dues will be cleared by June. The CAA has also accepted the receipt of the 3 instalments and even Millions above the submitted payment plan. SAI provided the court with documents showcasing it was paying all dues since the past 24 years and the delay in payments was supported by a payment plan, as accepted by CAA. It mentioned that airlines owing billions to CAA are still enjoying all the facilities. SAI mentioned it was self-evident that the discriminatory and illegal practices adopted by the CAA from 2015 coincide with the appointment of the current Director General of the CAA and it is high time that the authority and players work for the best interest of the aviation industry . The airline management hopes CAA will extend its full co-operation for smooth operations in the best interests of the local airline passengers and the future of Pakistan’s aviation industry.